Recently, I had the opportunity to reach out to Aubrey Lowther about Erie Brewing Company and discuss their operation. Aubrey's position is as the Regional Sales and Social Media Manager for Erie Brewing Company which is located in Erie, Pennsylvania. Erie features a full suite of beers and Aubrey was able to take some time to share some details about them, their beers and their vision of moving forward. I appreciate Aubrey for taking time to "Give Me Five." When did the brewery become established? 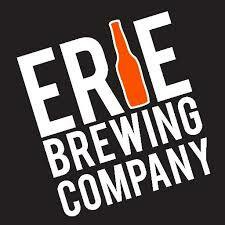 "Erie Brewing Company (EBC) was founded in 1993 as a Hoppers Brewpub in Erie’s historic Union Station. At this time, brewing capacity was 1,040 barrels. Transition from a brewpub to full-fledged microbrewery occurred in 1999 where Erie Brewing Company moved from Union Station to its current production facility off of 12th Street in Erie, Pennsylvania." How did you come about starting the brewery? "Erie Brewing Company is a craft brewery that brews and brands its beers based on the rich history of Lake Erie and its surrounding areas. Erie, Pennsylvania, the site where three sets of railroad track gauges met, was an important transportation hub in the mid-nineteenth century. A majority of our beers are based on the railroad theme and brewed with pride, strength and purity; symbolic of Erie’s historic railroads and their workers. Erie Brewing Company began before the big trend in craft beer had started in the early 90’s. The brewery was created as a real representation of the individuals living in the great city of Erie, PA and their strong love for craft beer. I came onto the EBC team in August of 2012 and have enjoyed spreading the word about Erie Brewing Company!" What makes the brewery unique? "Erie Brewing Company is a malt-forward brewery. We brew big, malty beers full of flavor. Our portfolio has a niche for everyone who loves craft beer. Some of our favorites are our flagship, Railbender Ale which is a gold award-winning beer at the Great American Beer Fest in 2009 and our Cherry-Inspired Cream Ale, Derailed Black Cherry Ale brewed with an all-natural cherry concentrate which is a bronze award-winning beer at the Great American Beer Fest in 2011. Our brewmaster, Shawn Strickland has been brewing at EBC for over 12 years and has created a majority of our core beers as well as several new recipes that our distributors and customers love. We pride ourselves on creating the finest hand-crafted beer available that is consistent with great quality. Shawn oversees that recipes are followed and adhered to at all time to ensure that a customer who purchases a seasonal or year-round brew will taste the same great flavor when buying again. We provide wonderful customer service and our sales team is out in the market working various beer festivals, tastings, beer dinners and so much more. If you see us, say hello! We started something new over a year ago called the Erie sERIEs which is how our brewery showcases the talents of our brewing team. This scratch beer series is available exclusively in our tasting room and includes many delicious new concoctions which are typically one-offs. We also enjoy showcasing some of these selections at various beer festivals and events. Shawn, our brewmaster has created an Irish Red, a Cucumbermelon Lager, Derailed Black Cherry Ale infused with vanilla bean and cocoa nibs, a Belgian White Ale and several other specialty one-offs. Lastly, each year, we have our annual event called Beer on the Bay, the region’s largest craft beer festival. This year is our 9th annual BOTB and will take place on Saturday, July 23rd with two sessions; the first session from 12-3 p.m. and the second session from 4-7 p.m. on the picturesque Erie Bayfront at the Burger King Amphitheatre, Liberty Park. Beer on the Bay benefits the ANNA Shelter, a no kill animal rescue facility in Northwest Pennsylvania. We also worked with them this past October for a new event that we created called “Dogtoberfest”. Hundreds of dogs and their owners attended where they enjoyed a photo booth with their four-legged friends as well as a tasting of all eight beers on tap. We raised a great deal of money for this wonderful organization and we look forward to doing it again this year." Where do you envision the brewery heading in the future? "We believe that with our current sales and brewing team that we will continue to grow Erie Brewing Company tremendously. Brewing consistent, high quality beers is most important to us to increase growth in current and new markets. We are hoping to move production facilities in the near future in order to maximize growth because our current location is small and does not provide opportunities for large groups to enjoy tours and tastings, private parties and so on. With a large space for brewing and customers, we believe we can grow the brewery a great deal. 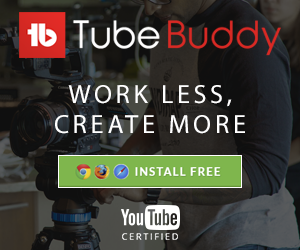 We are excited about our future!" How many offerings does the brewery provide? "Erie Brewing Company provides two award-winning beers and several seasonal offerings. Currently, we have five year-round brews, Railbender Ale, Derailed Black Cherry Ale, Mad Anthony’s American Pale Ale, Misery Bay IPA and Bayfront Blonde. We are releasing our newest year-round beer in early March called Final Destination IPA which will be a West Coast Style IPA at 7% and 60 IBUs brewed with Simcoe and Citra hops. This is a very new direction for us considering we typically focus on malty beers. We are so excited to release this mouth-watering IPA into our markets and see what our customers think of this new brew. As for seasonal offerings, we currently have five varieties including Soleil Shandy, Johnny Rails Pumpkin Ale, Erie Oktoberfest, Skipper’s Stout and Ol’ Red Cease & Desist. Of the five, Skipper’s Stout which was named after our brewdog, Skipper is our newest seasonal and sold out this past year before pre-orders were even completed. We have showcased this Coffee Stout with crème brulee at several beer festivals and events this year including the Cleveland, Cincinnati and Columbus Winter Beer Festivals. This stout has been a huge hit!" We look forward to continuing to brew new, fantastic craft brews! Look for Erie Brewing Company in a city near you! Cheers! 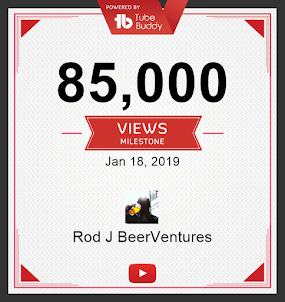 Thank you Aubrey, and I look forward to trying more of your beers and I hope my followers do as well. 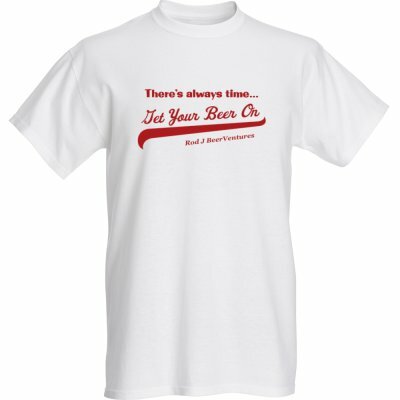 Here is a link to visit Erie Brewing online: Erie Brewing Company.